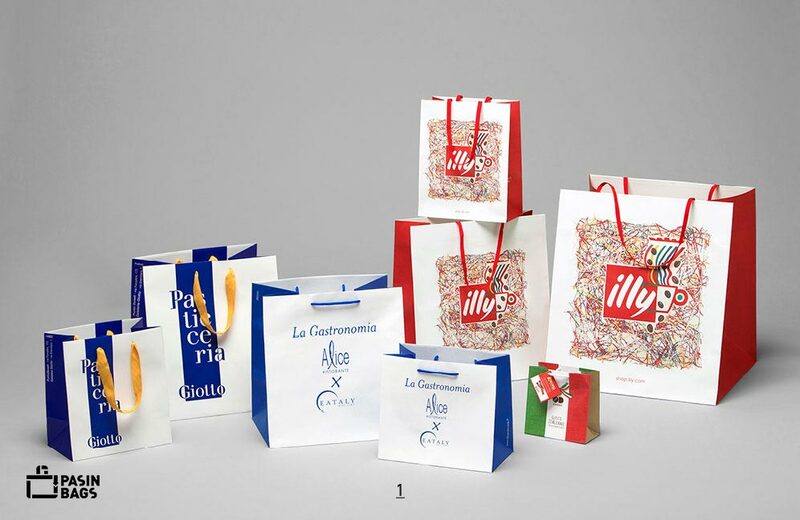 The production of paper bags has always been our hallmark. 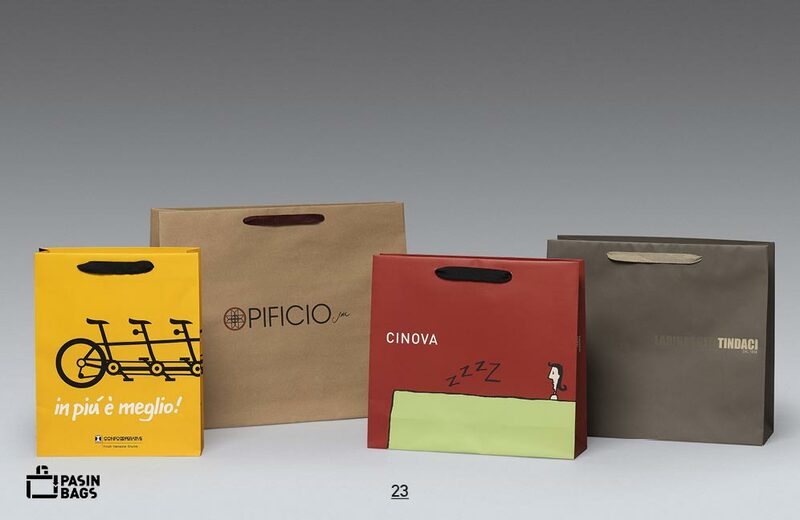 We offer an extensive range of solutions with different grammages, including products made of resistant kraft – natural or recycled – to satisfy any need concerning the product and quantities. 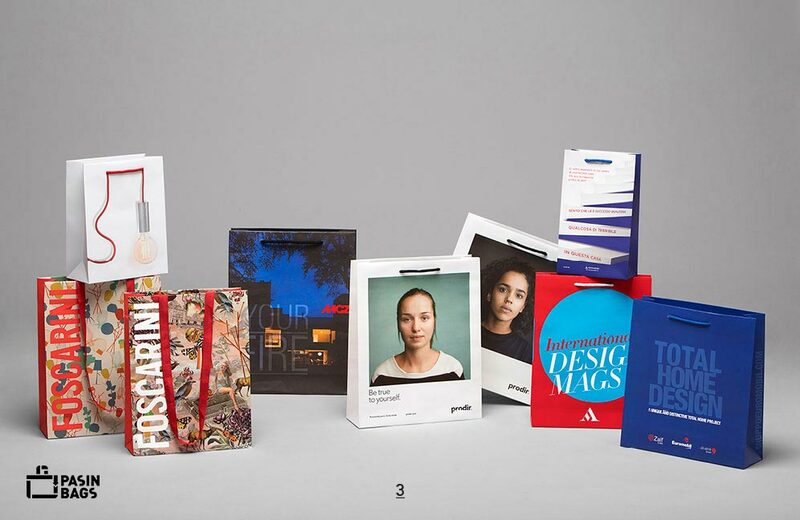 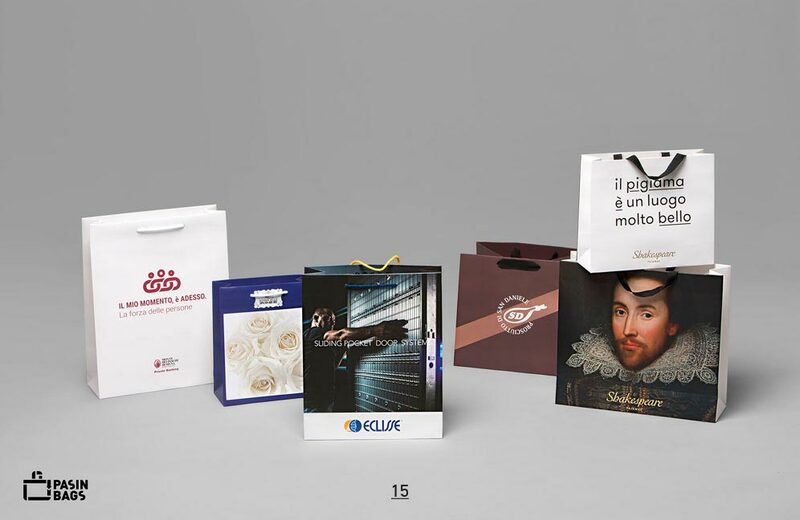 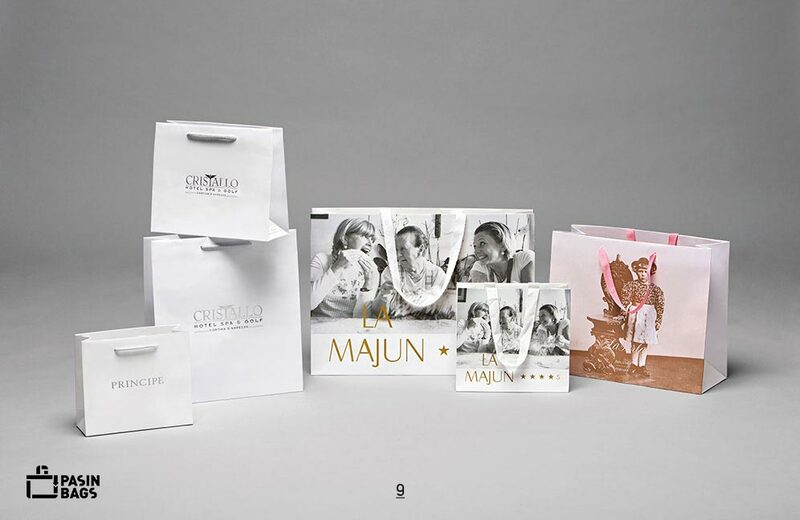 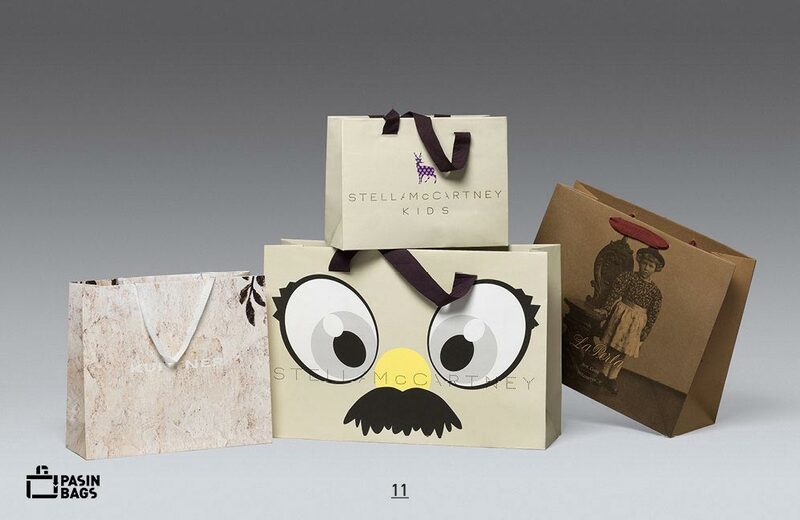 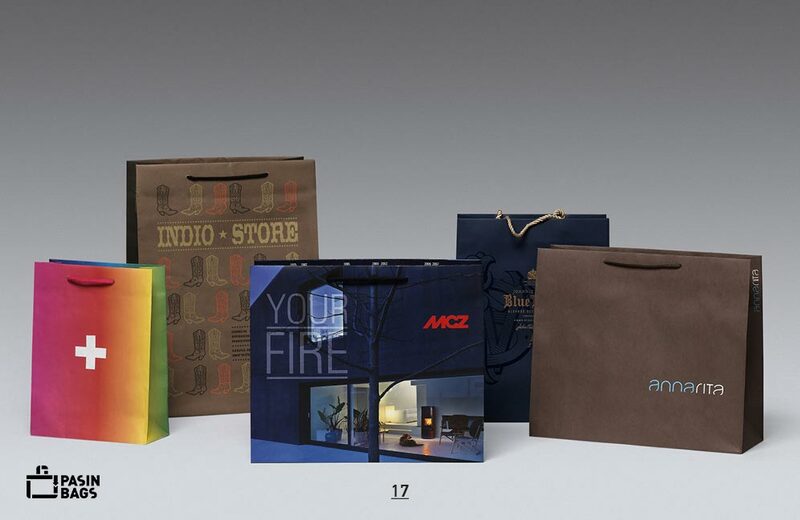 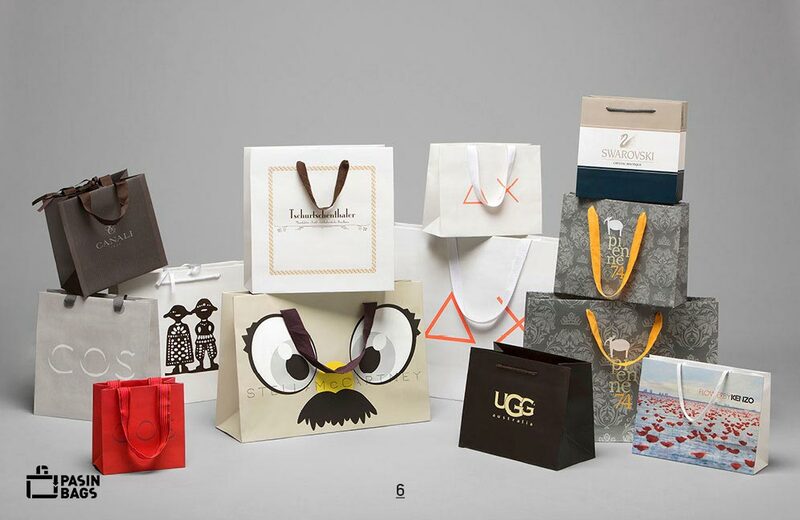 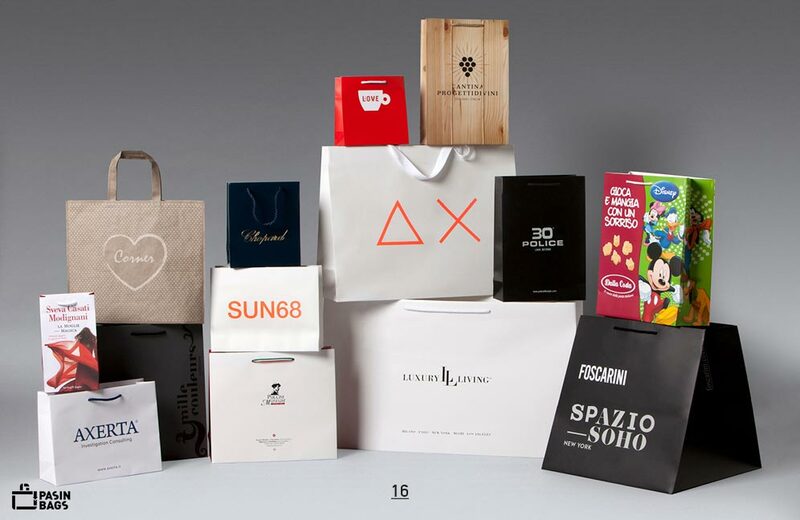 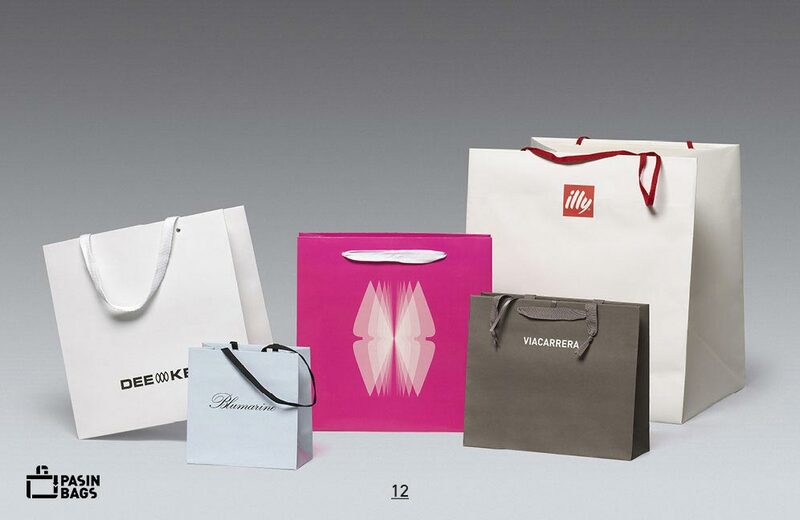 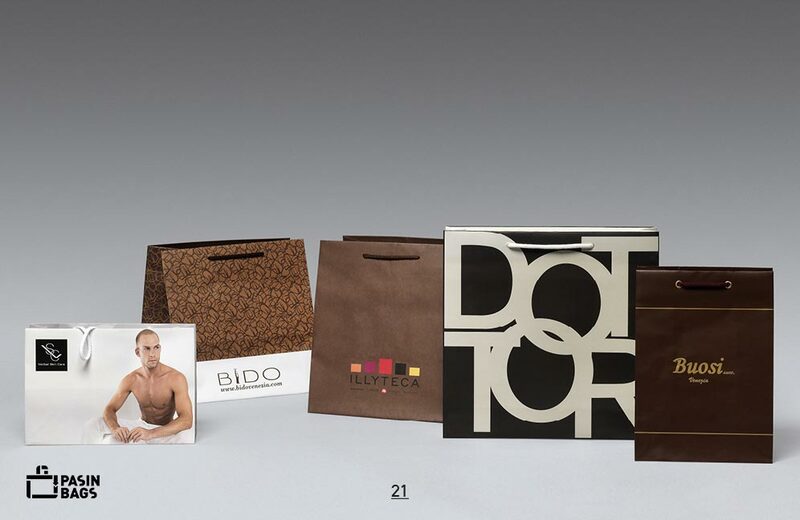 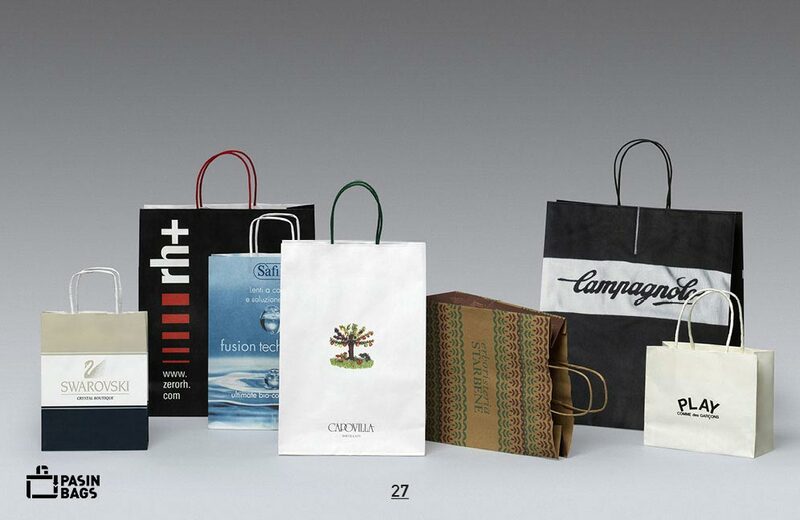 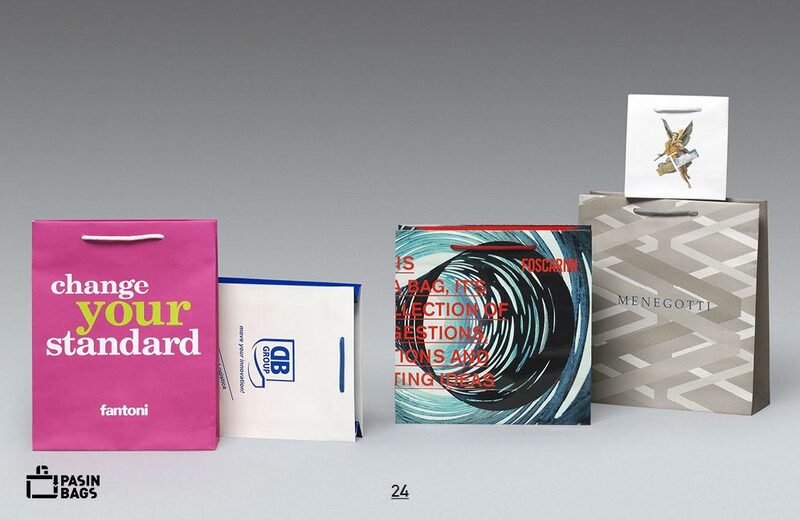 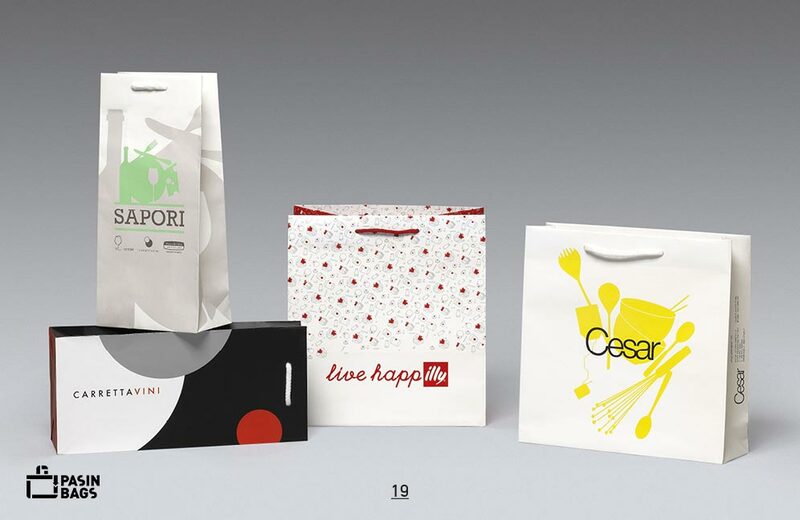 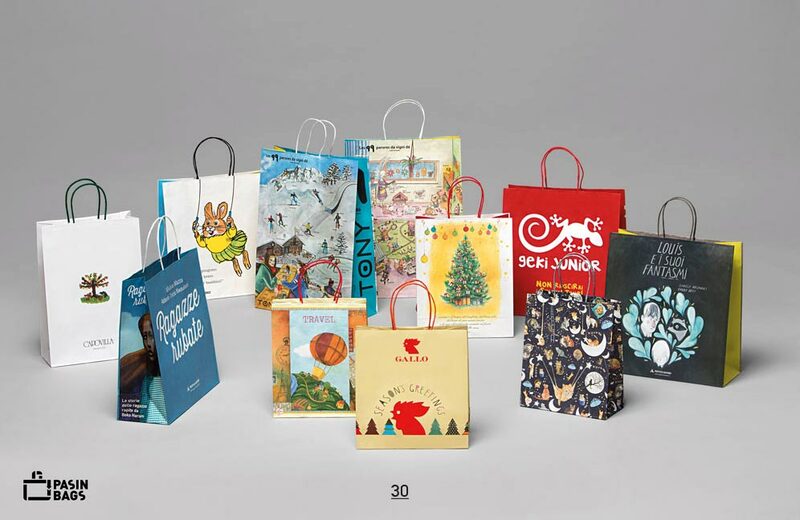 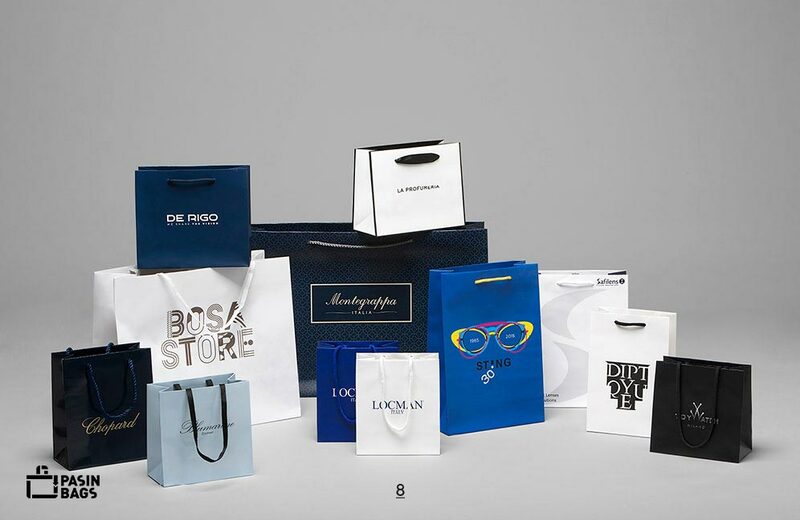 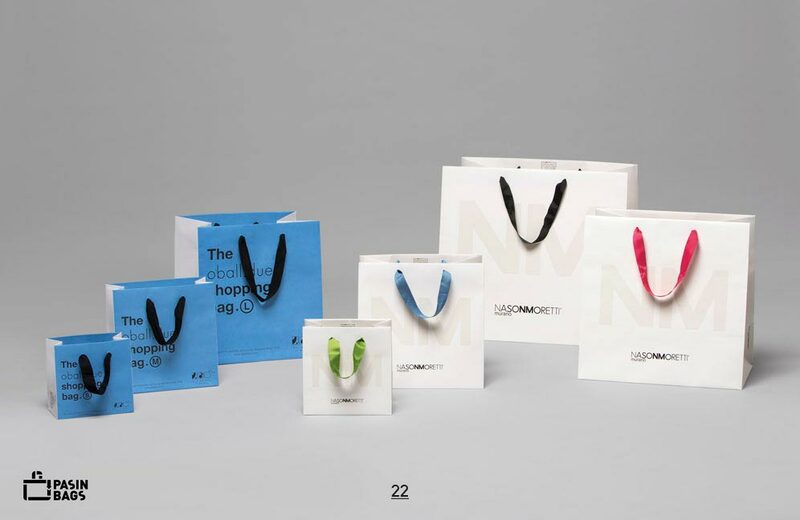 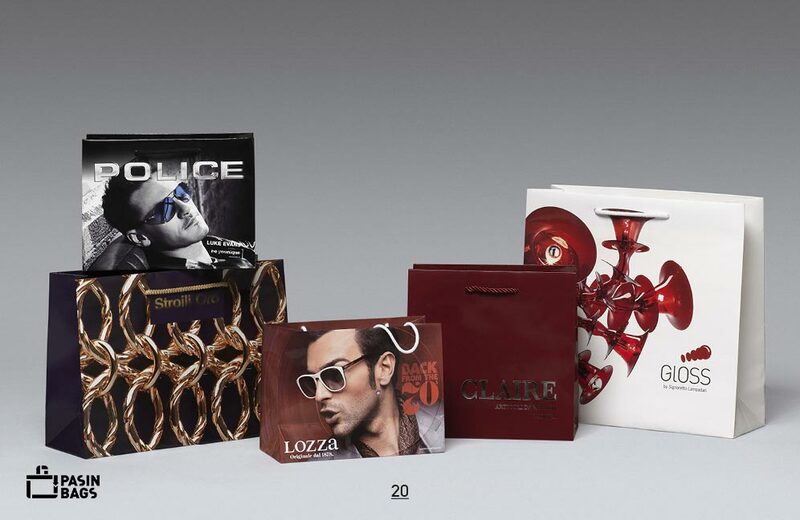 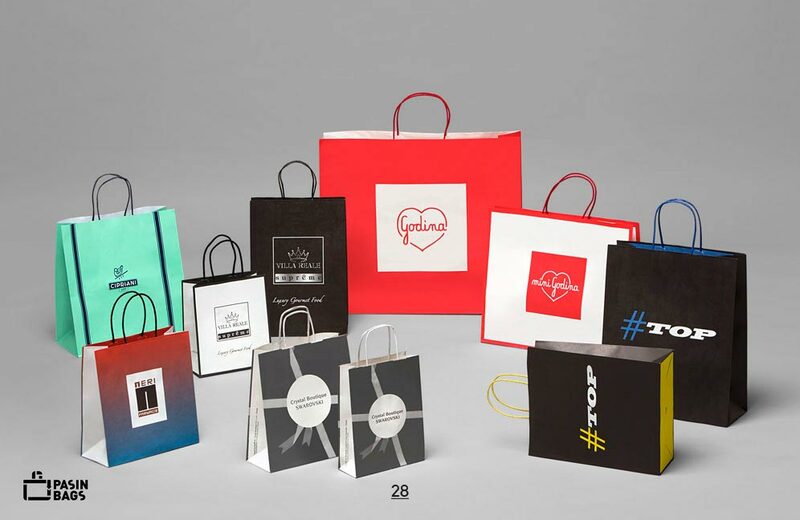 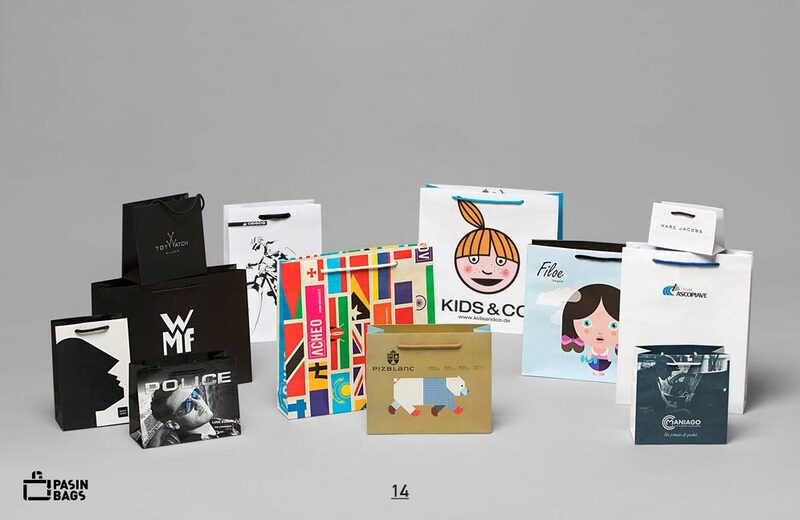 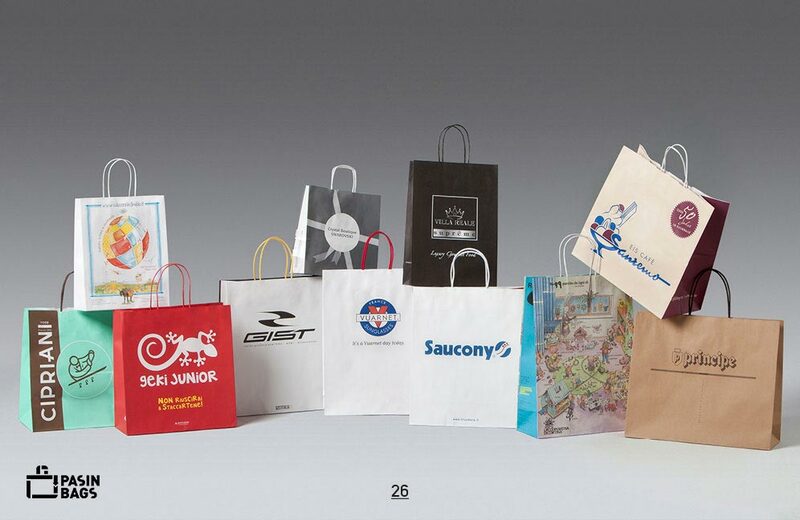 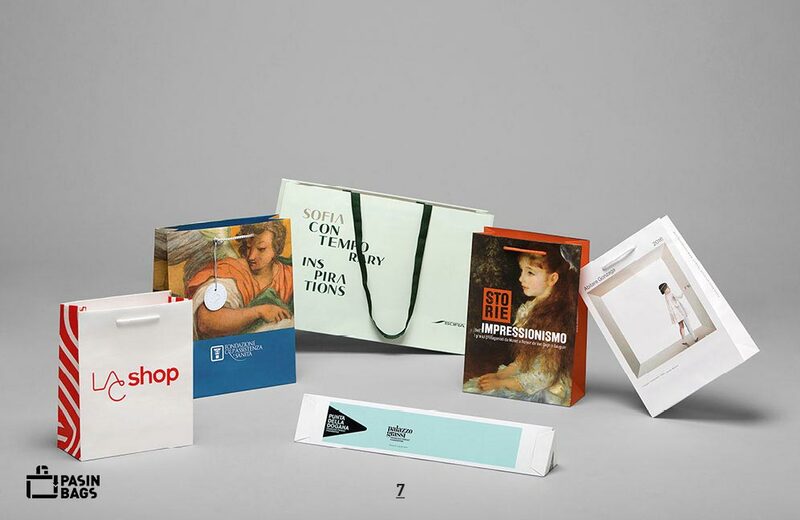 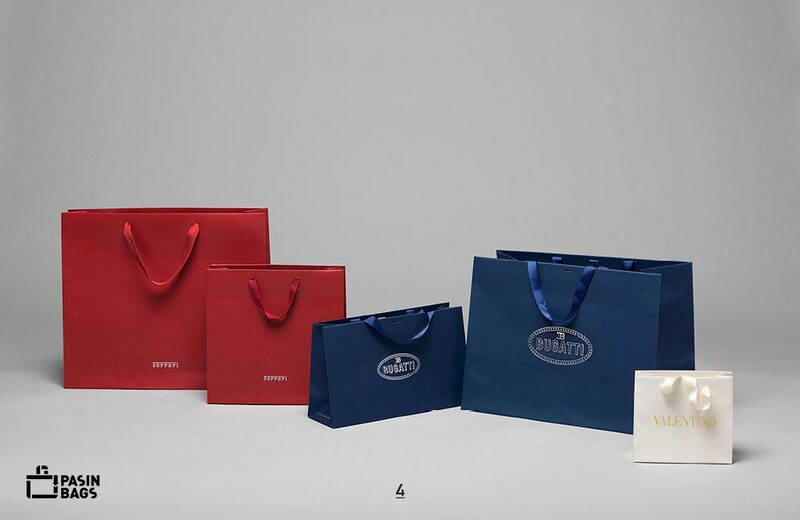 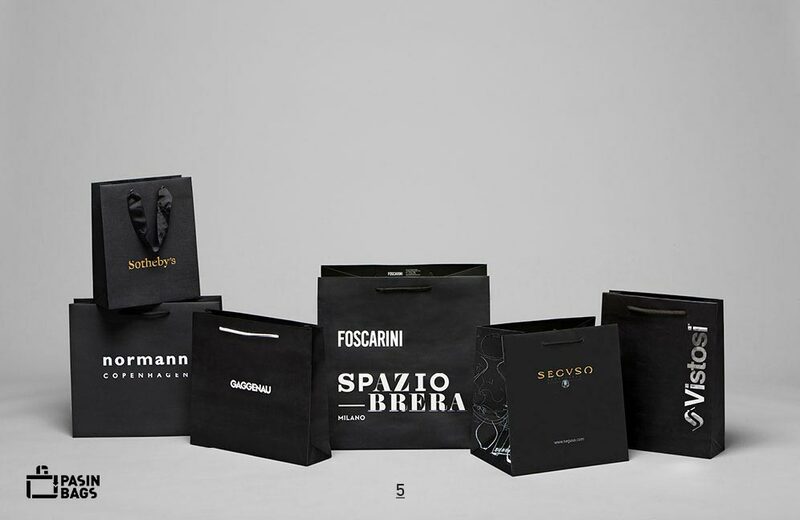 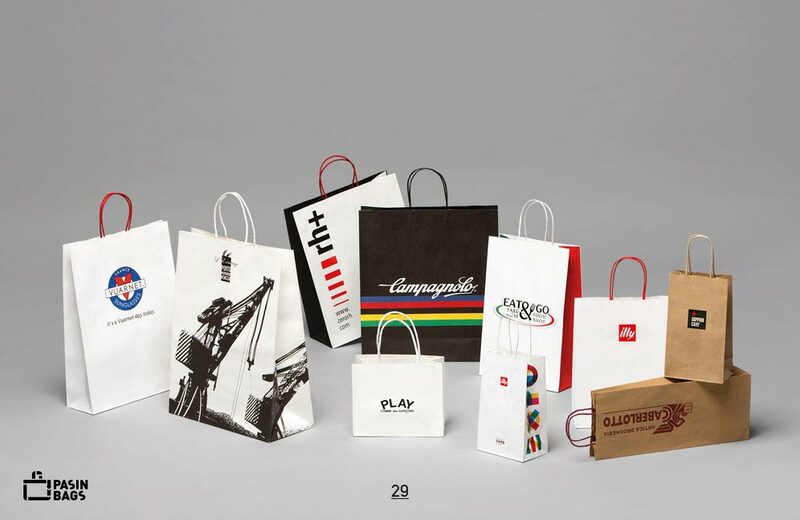 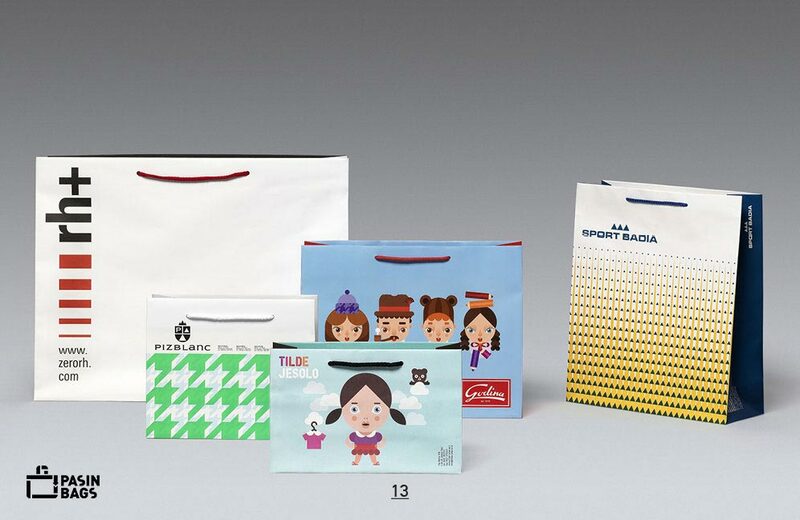 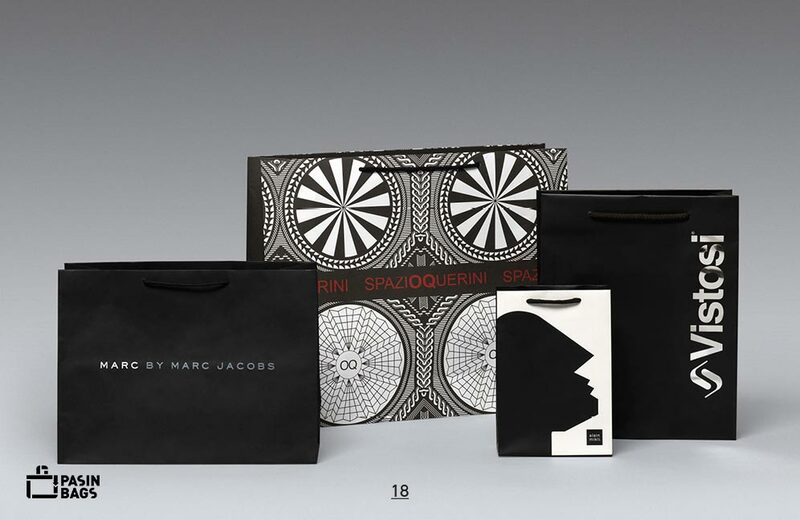 Pasin Bags paper shopping bags are highly customisable, thanks to the extensive selection of materials and available finishes. 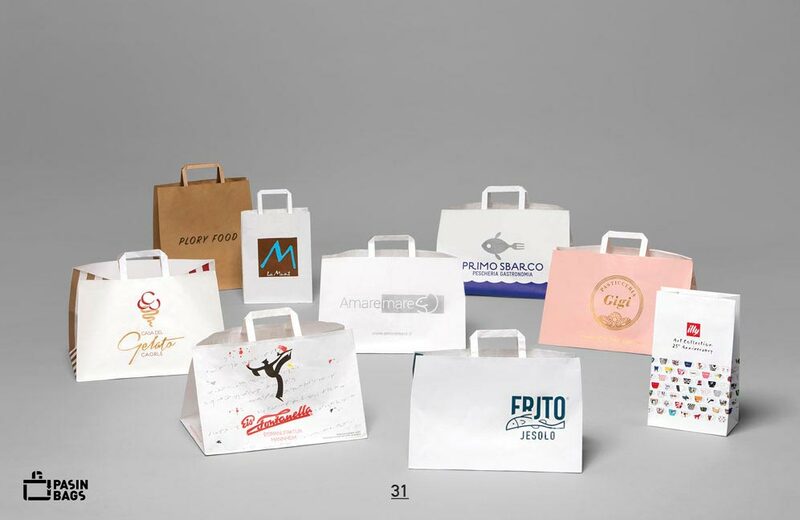 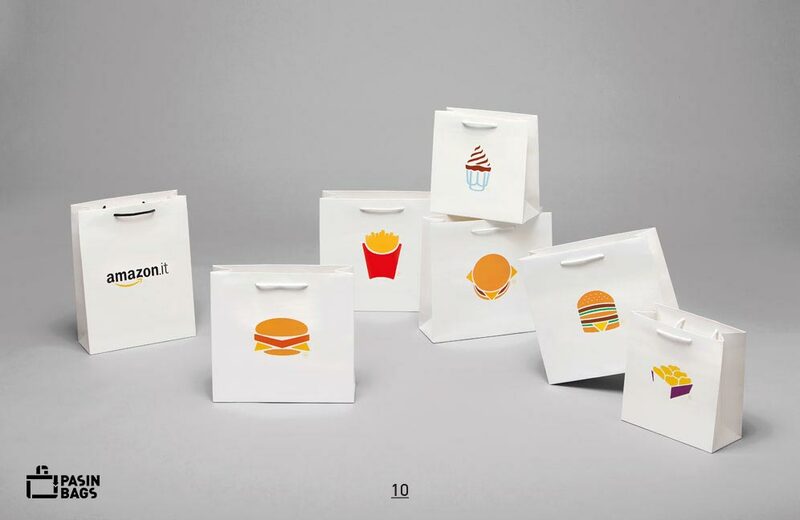 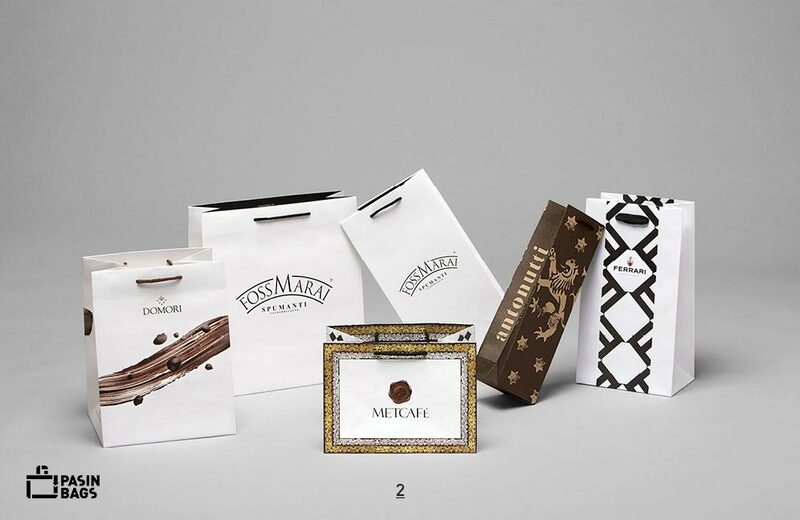 These types of bags are made of paper having different grammages (from 90 to 210 grams) or highly resistant kraft – either natural or recycled light brown. 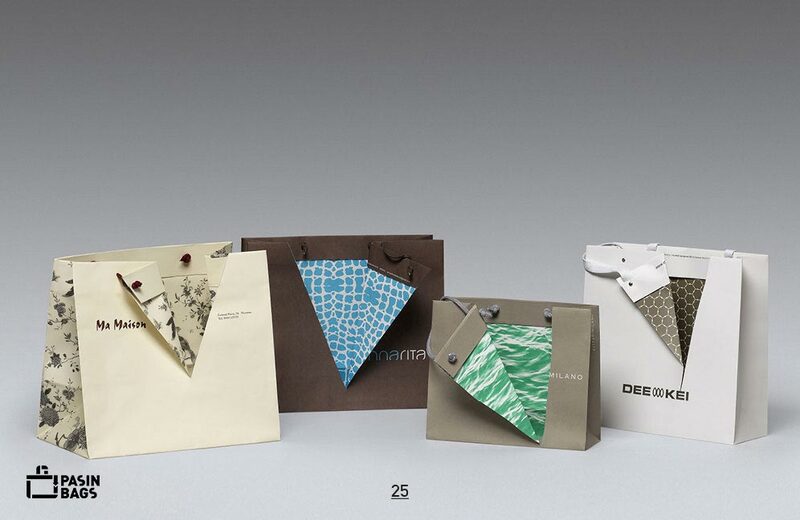 They come with an automatic flap or raw-edge finishing.